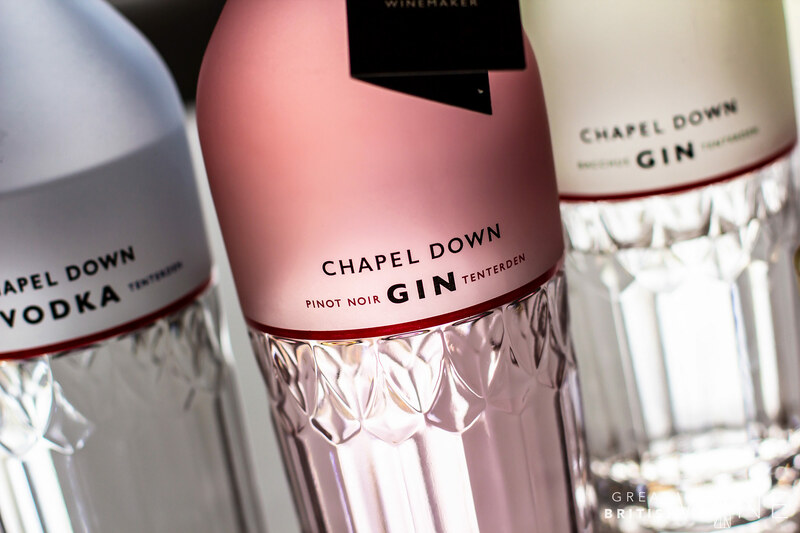 After a soft launch at the end of last year and the recent opening of the restaurant, Chapel Down Gin Works has to be the most exciting arrival on the London scene for English wine and spirit lovers. With this new venue, Chapel Down has created an aspirational and stylish space that does a fantastic job of showcasing its ever-growing portfolio of alcoholic beverages. The space is equally as versatile as the Chapel Down product range, housing two bar areas, a full-service restaurant, gin-focussed event space as well as terraces with stunning panoramic views of Regent’s Canal. 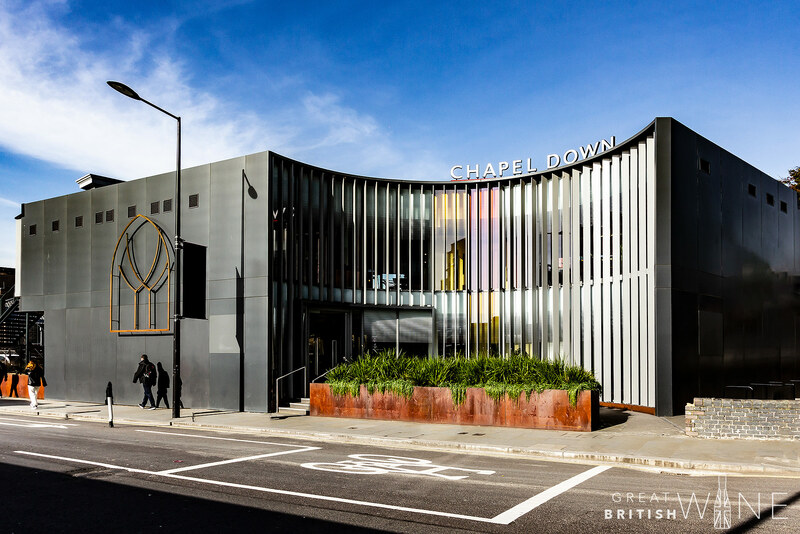 What’s more, it is just five minutes’ walk from Kings Cross Station, making it the ideal central London hub for Chapel Down. 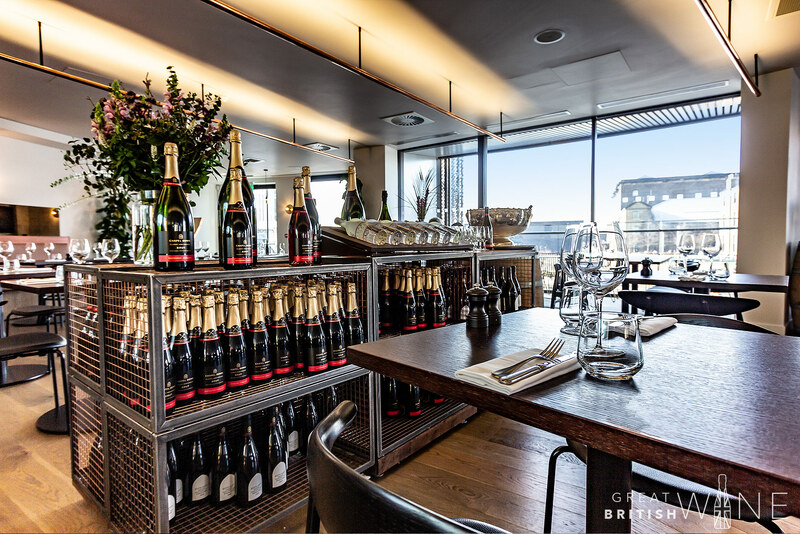 As well as being able to sample many of the Chapel Down wines by the glass, including the Kit’s Coty single vineyard wines, exclusive beers are available on tap, as well as an extensive array of cocktails served in the impressive central bar. It's decadently decorated, with numerous touchbacks to both winemaking and spirit production. The central bar is a cylindrical shape, clad with wood to echo the texture and shape of an oak barrel. In the middle of the bar, there’s an upturned copper bath on the ceiling, recalling the prohibition-era of amateur spirit making in bathtubs. Fortunately, gin production has moved on a long way since those days! As the venue's name would suggest, Gin is the hero product here. 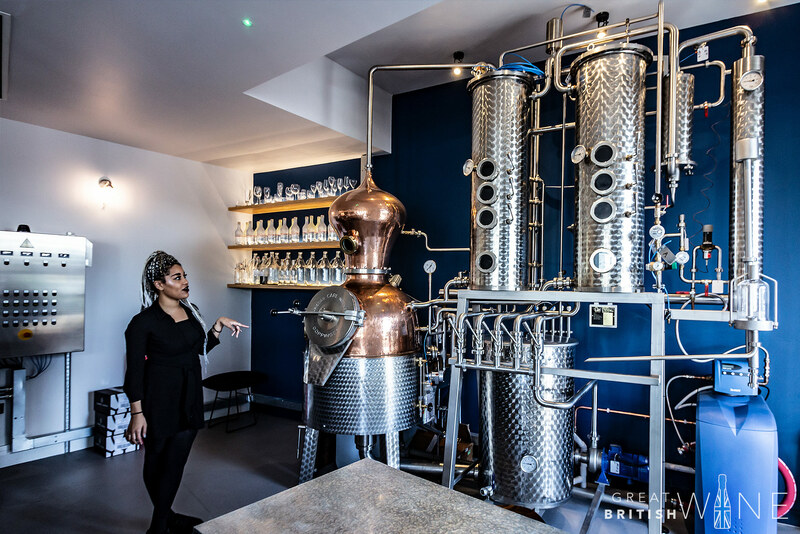 Taking pride of place is ‘Helga’, a traditional copper gin still that will soon be busy producing small-batch gins that will be sold on Chapel Down premises. 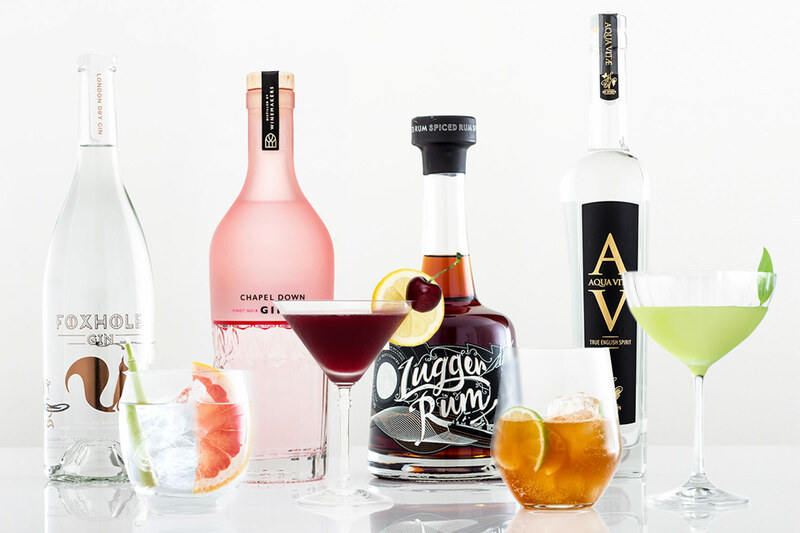 These will join the current product line-up of Bacchus Gin, Chardonnay Vodka and the brand-new pink Pinot Noir Gin, which launched this month. 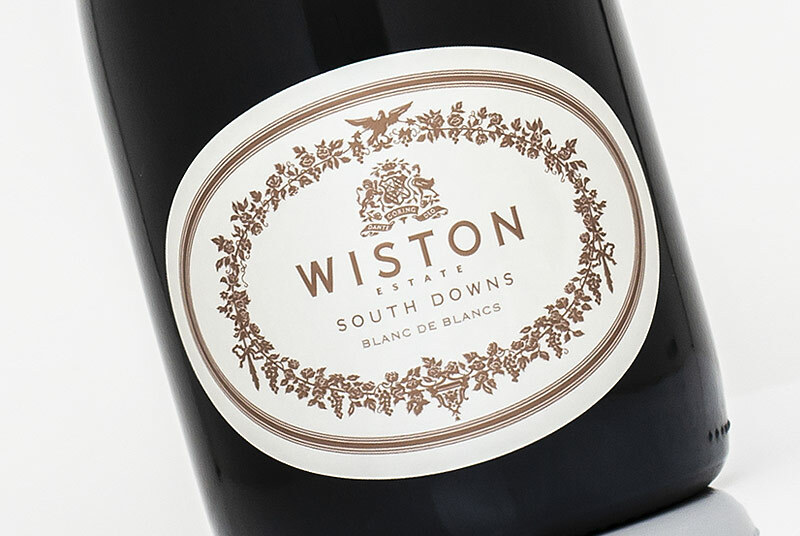 The winemaker's influence on these spirits is clear from concept and production through to packaging and flavour profile. Both the gins and vodka are made from spirits derived from grapes, blended with a neutral base spirit, and in the case of the gins, with botanicals that echo and enhance the character of their namesake grapes. The Bacchus Gin is a particular favourite of mine, as it's packed full of citrus freshness and delicate floral aromatics. Look out for our upcoming feature on English spirits for a more detailed look at the two gins and the vodka later this week. During my visit to the Gin Works, I took the opportunity to taste a light lunch at the restaurant on the top floor. An ambitious and impressive menu was presented; having a soft spot for seafood, I was right at home. I opted for Dorset Crab to start, served with light and fluffy ‘crab’ doughnuts, mayo and grapefruit. It was a delicious starter, and that pink grapefruit felt like the perfect nod to the zingy citrus intensity of English white wines like the Chapel Down Flint Dry and Bacchus. For my main, I had Stone Bass with pressed potato, apple and razor clams. The fish was perfectly cooked, with delicious crispy skin and fragrant, lightly seasoned razor clams. 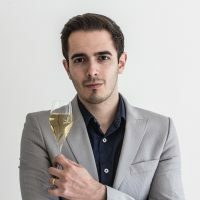 My main was a great dish to showcase the latest vintage of Kit’s Coty Chardonnay 2016, which was a wine that I covered in my Great British Wine February Round-up. Overall, my first impressions of the Chapel Down Gin Works were very positive. I was impressed with the scope of the venue and can see it becoming a hub for gin-fueled social gatherings, particularly in the warmer months when the outdoor spaces will be fully realised. With the launch of the Gin Works and the scheduled April opening of the new Ashford Brewery for Curious Brew, it's clear just how seriously Chapel Down is taking its product diversification as it continues to cement its place as the ultimate English drinks brand. Hi John. 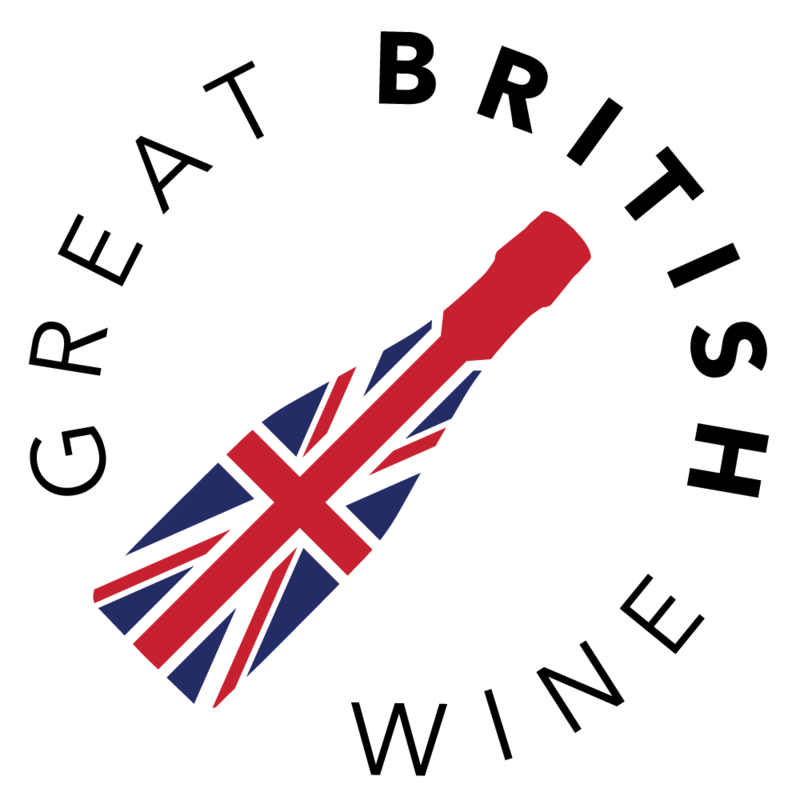 You do a great job of celebrating the English Wine scene…and now booze more widely! 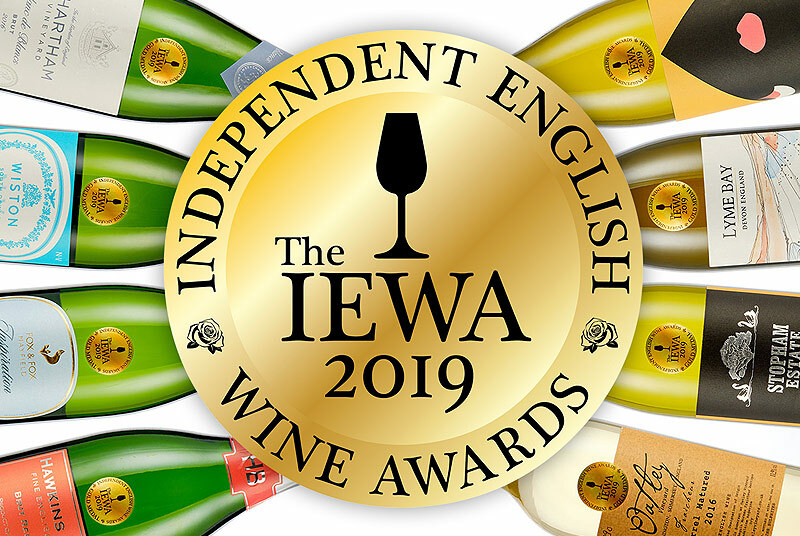 Do come over to do that article about wine hospitality…anc of course feature Cellar Door of the Year…that’s us at High Clandon! 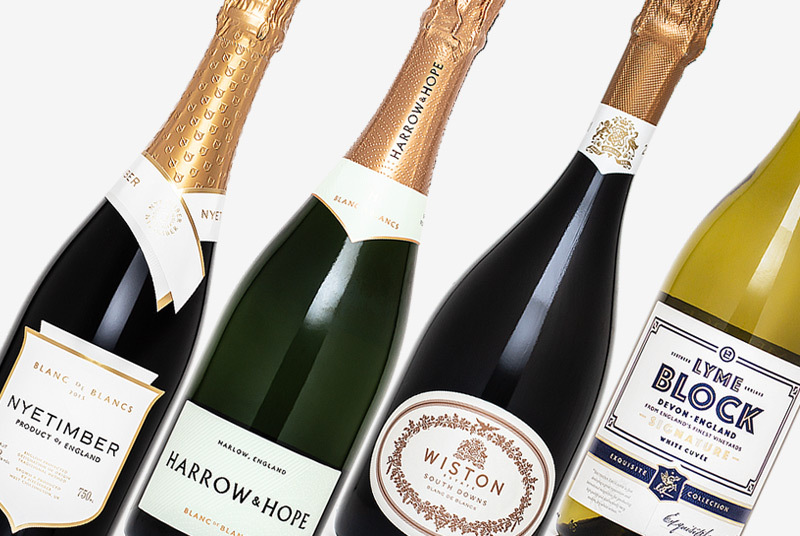 I am mounting another art exhibition for end May and also doing a fun …showcasing Vineyards of the Surrey Hills sparkling vs champagne tasting Battle of Waterloo for the launch weekend . Please phone or email to meet! Tel 07711 266918 or 01473 225660.